Peter is a senior managing director responsible for loan syndication, sales and trading for Antares Capital. Peter joined Antares as part of the purchase in 2015 of the sponsor finance business of GE Capital. 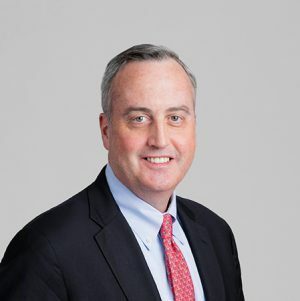 Prior to joining GE Capital in October 2013, Peter worked on the Leveraged Finance Capital Markets desk at J.P Morgan and its predecessor organizations for approximately 14 years. Prior to that, Peter worked in various leveraged finance positions at Bankers Trust. Peter earned an honors degree in economics from Trinity College, and an MBA from Harvard Business School.